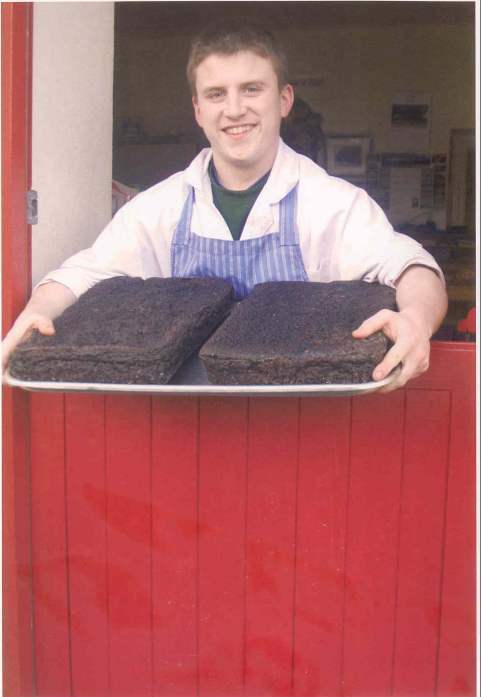 Burns Butcher Sneem :: Sneem Black Pudding! ALL ORDERS, AND ENQUIRIES, BY TELEPHONE, PLEASE! 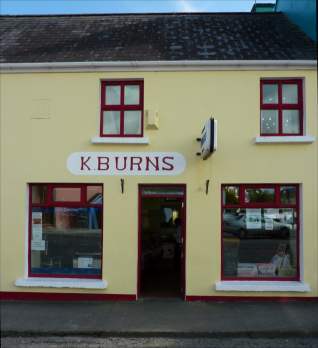 Burns Butchers has been in existence since the early 1900s. 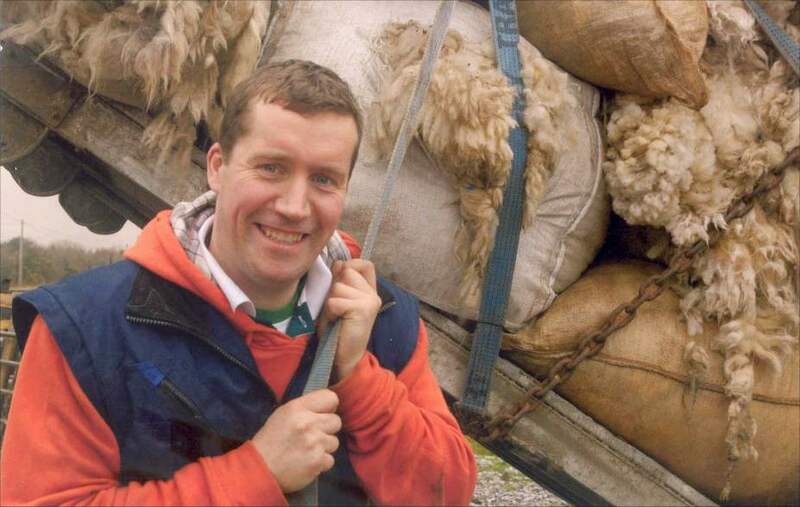 Kieran Burns (above), who is the proprietor at North Square, Sneem, is the fourth generation butcher in the family. Batt Burns was the first to dabble in butchering, who was then followed into the trade by two of his sons, Paddy and Stephen. Paddy's son P.J. then entered the trade leading down the line to Kieran. There have been many changes to butchering practices in the years since Batt Burns began all those years ago. My earliest memories of the slaughter-house in the late 1970s are that killing pigs or cattle in those days was a real community event. The slaughter-house would be readied in the morning, and the beef animal would arrive at the abattoir. A number of men would be lined up to assist with the holding of the rope which would be used to pull the animal's head right to the floor for stunning purposes. When the butcher who was performing the act of bleeding the animal would arrive, namely Thady Pad O'Sullivan, you could feel the nervous tension building. Thady would take a large knife, which was carefully wrapped in newspaper, from his top pocket of his jacket and place it on the table. This was a knife which if it could talk could tell many a tale. When then the animal was knocked and bled, the beef would be lifted from the ground by a hand pulley which Patrick McCarty was an expert at lifting. The pig slaughter was an altogether different experience as these had to be lifted onto the table to bleed. This took seven to eight strong men to lift the pig onto the table, and two to hold it down while it gave the blood for the black pudding, which brings me to the Sneem Black Pudding. Margaret Clifford, who was my grandmother married to Paddy (Batt) Burns, decided that we should be using blood from the animal so, in the 1960s, she made an oat-flake black pudding that was baked rather than boiled, and this was the original Sneem Black Pudding which is still being produced to this day. Butchers have endured years of regulation which has seen many leave the trade. The day of the butcher going to the land to buy animals, transport them to their own abattoir and slaughter them is rare in most big towns never mind villages. But I'm delighted to say here in Sneem we have two butchers doing this: myself, Kieran Burns, and Peter O'Sullivan, North Square. May this trade always live on in Sneem as one time there were no less than five butchers operating in the parish of Sneem.